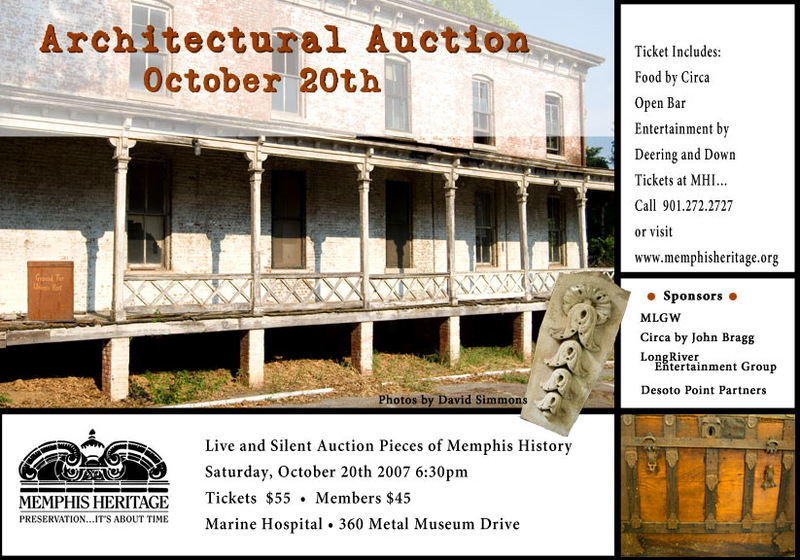 Memphis Heritage's 2007 Architectural Auction is this Saturday! Great friends, great finds, great fun, and a great way to support historic preservation. 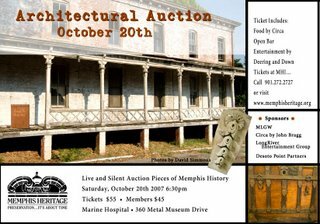 This year's auction will be at the historic Marine Hospital, 360 Metal Museum Dr., and starts at 6:30 p.m. Tickets are $55/non-member; $45/members. For more information and to order your ticket, click here.